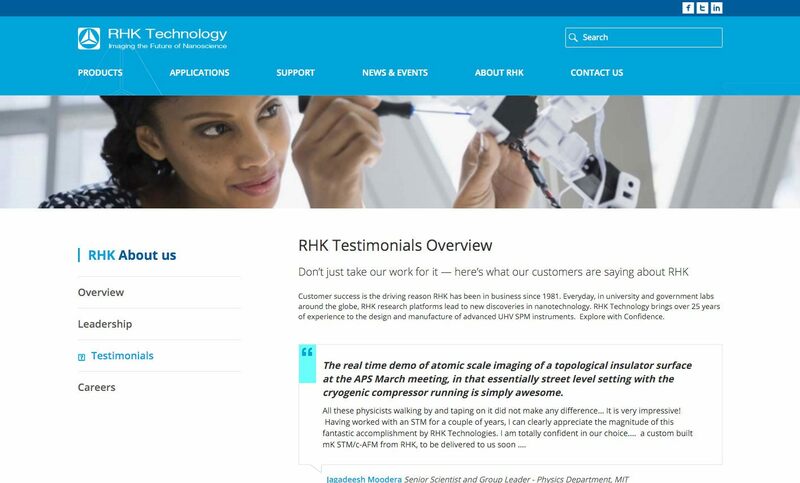 In the Fall of 2015, RHK Technology approached us to host their existing website and complete a few small updates; along with helping them design and distribute email marketing pieces. The conversation quickly morphed into executing a complete redesign of their existing site, to set them head and shoulders above their competition. We were tasked with organizing the new site in a way that made it a lot easier to navigate for the end-user. With a lot of complicated information to display, worldwide product distribution, a library of white papers (and other archived documents), and monthly events (including webinars & tutorials); this was quite the endeavor. 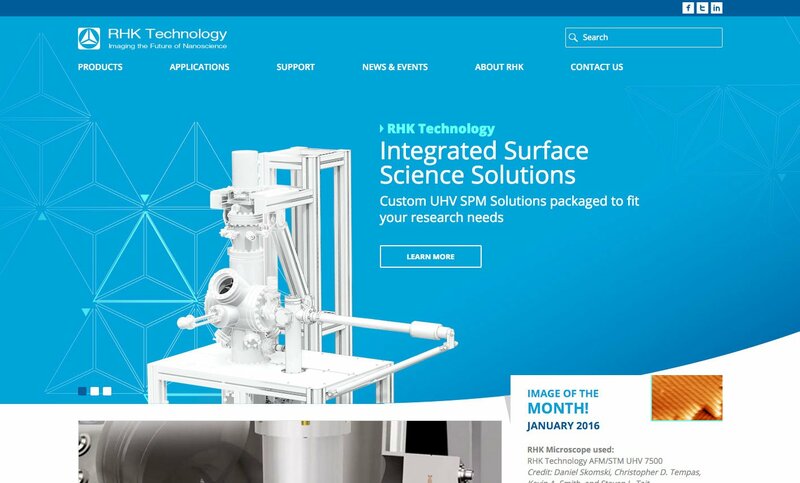 The idea behind the design was to make the site look and feel light, professional, and reflect the scientific community in which they live and work. The next goal was to take the vast amount of content they had and make it easy to navigate through - and not to mention - make the new site 100% responsive so it can be viewed across all screens. We included a not only a ‘Hero’ slider on the homepage, but a “Featured Product” slider as well. (Two of the product overview pages also include a slider.) The content is presented in a simple, yet organized fashion to help the user maneuver through with ease. 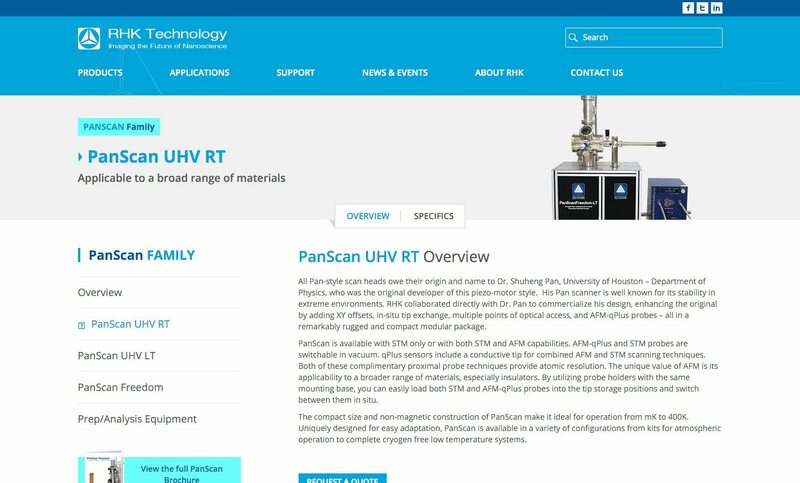 Founded in 1981, RHK Technology brings over 25 years of experience to the design and manufacture of for advanced UHV SPM nanotechnology instruments.